Can Release Daily 1/12/19 – Burley Oak, Monkish, Interboro & More! 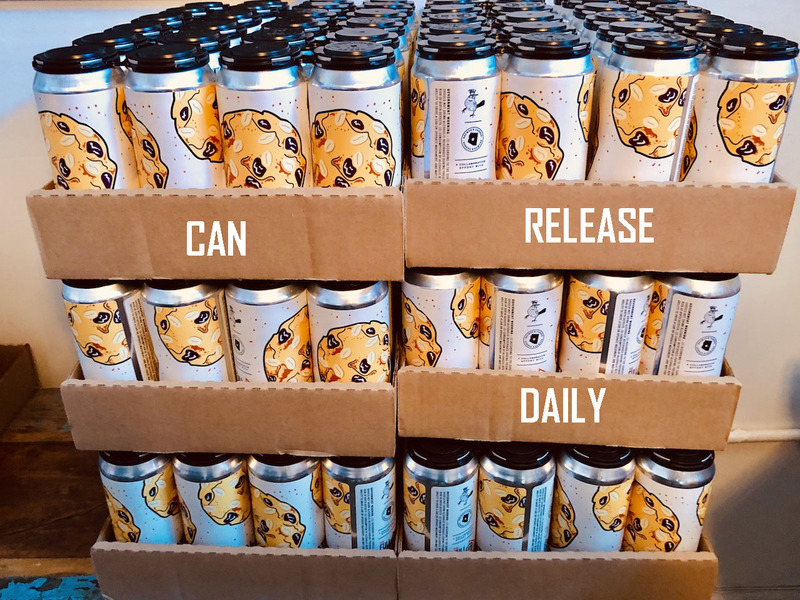 Here is the latest edition of Can Release Daily! We’ve always appreciated centralized information, and here we have some of the hottest can release drops around the country bundled in one post. We understand that these cans might be long gone by the time you read this, we hope this also serves a purpose by showing you what you might want to trade for in the next week or two. Please give us feedback on who we should be looking out for. Here is some info from Burley Oak, Monkish, Night Shift, Foam Brewers,Tired Hands, El Segundo Brewing, Mason Ale Works, Moksa Brewing, Interboro, Threes Brewing and Aslin Beer Co.
What’s bubbly, brewed, and orange all over? Our new collab with @beertreebrew! Introducing Saturday Night Sunday Morning – a Brut India Pale Ale with Orange. Dedicated to everyone’s favorite brunch beverage, this mimosa-inspired beer will be available 2/16. Less than 2 weeks away from our brewery only release “Zonkey Sauce!” ⠀⠀⠀⠀⠀⠀⠀⠀ This Bourbon Barrel Aged Imperial Stout was aged for over a year in @cutwaterspirits Bourbon Barrels. We recently have added some super premium Fortissimo Espresso from @mostracoffee, as well as Sweet Orange Peel for a nuanced and complex brew. ⠀⠀⠀⠀⠀⠀⠀⠀⠀⠀ This brewery only release will be available only at @urgecommonhouse starting Saturday 2/23! Tomorrow we’re canning a fresh batch of Courage, My Love (Hoppy Pale Lager). As we’ve done in past years, we’ll be donating 10% of the proceeds of this beer to the American Civil Liberties Union. Make no mistake, this isn’t a partisan cause. The @aclu_nationwide works tirelessly to protect the freedoms of ALL Americans. We need them now more than ever, as the forces of power continue to chip away at our constitutional rights. ________________________________ This beer is available for pre-sale now to pick up at the brewery this weekend.